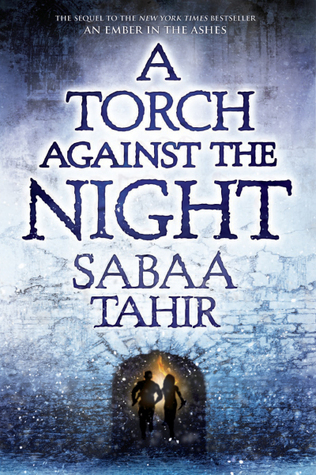 Read a full summary of A Torch Against the Night by Sabaa Tahir below. If you can’t remember what happened in A Torch Against the Night and you need a refresher, then you’re in the right place. Elias and Laia are running from the Commandant. They find a girl there who wants silver. They leave the Catacombs and run into the Commandant. They knock her out. Elias is poisoned. Helene is tortured for information about Elias and Laia. Elias passes out after a fight with wraiths as a result of the poison. Emperor Marcus tells Helene to find and kill Elias. A man called Keris says that he is the Reaper. The Commandant accuses him of being interested in Laia. Elias and Laia arrive in the Roost. Laia tries desperately to find an antidote, as Elias is now having seizures. She fights off some tribesmen and gets the antidote. Three men are assigned to Helene. One of them is a spy for the Commandant. Cook gives Helene a clue on where to find Elias. Keenan and Izzi are also hunting for Elias and Laia. They eventually find them, and the group travel to save Darin. The group arrives in Nur. A woman called Afya takes them to the prison so they can save Laia’s brother. Helene reckons they’re on the way to Nur. She gets the city shut down. Elias’ family creates a distraction and Helene is saved by Elias. She lets him go, even though she shouldn’t because her sister is betrothed to Marcus. Elias leaves to save Darin by himself. Elias enters Shaeva’s realm for a few days. She eventually gets him to the prison. Marcus makes Helene execute some people. Izzi is killed during a fight with a bunch of Masks. Laia asks Afya to leave after she gets angry. Keenan and Laia are now the only two left. Elias learns that Darin is dead. Elias is captured and interrogated. Helene goes to see the Augurs, who say she will be great. Cook tells Helene why Elias is on his way to Kauf. Helene heals him. Laia and Keenan stay in a farmhouse and things happen. The Commandant heads to Kauf to purge the scholars. Elias learns that, actually, Darin is alive. Helene arrives in Kauf but the warden won’t let her have Elias. Laia gives Keenan her silver armlet and he melts away. SURPRISE. Keenan is actually the Nightbringer and he wanted the armlet the whole time. This armlet is special because it’s made of starlight. He plans to use it to free the Jinn. Helene comes across Laia and helps her. Helene then goes to warn Marcus about the Commandant and the scholar thing. Harper changes his mind about killing Helene for the Commandant. Helene realises that the Commandant is working with the Nightbringer. Afya helps Darin escape the prison. Elias dies, but he makes a deal to return and take Shaeva’s place in the forest. The group escapes on boats. Laia stays near the edge of the forest to be with Elias after they help the scholars escape. Thank you! I had to reread both this one and Book 1 before starting book 3 this week and this saved a lot of time!